Did you know that Hangar Hill Footgolf was formerly a 9 hole pitch and putt course? 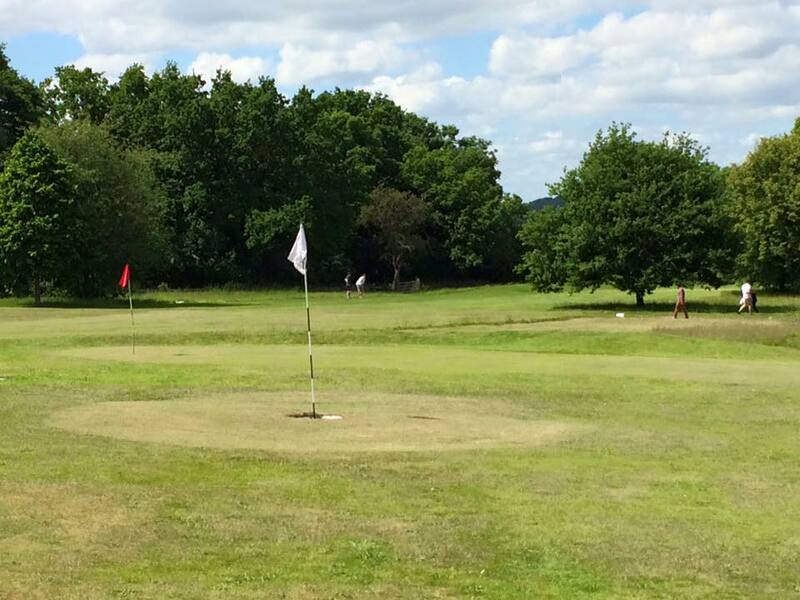 This is a beautiful undulating parkland Footgolf course with a brook running thorugh the middle of the course. 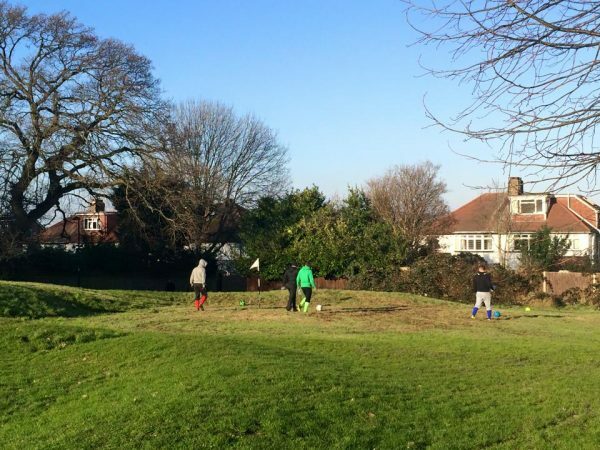 It is situated in Hangar Hill Park and parking can be found on Hillcrest Road. 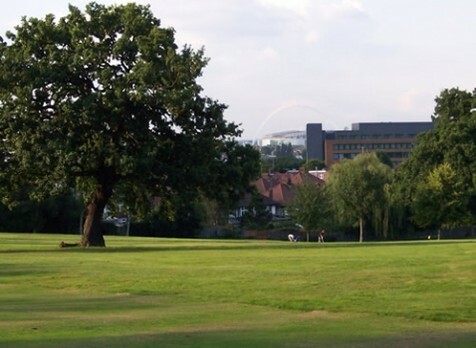 From the highest point of the course you can see Wembley Stadium! 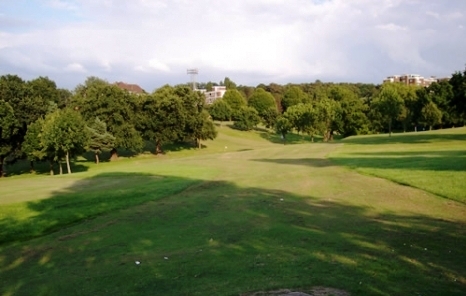 The course can be reached easily by public transport - just 5 minutes walk from Hanger Lane underground station. 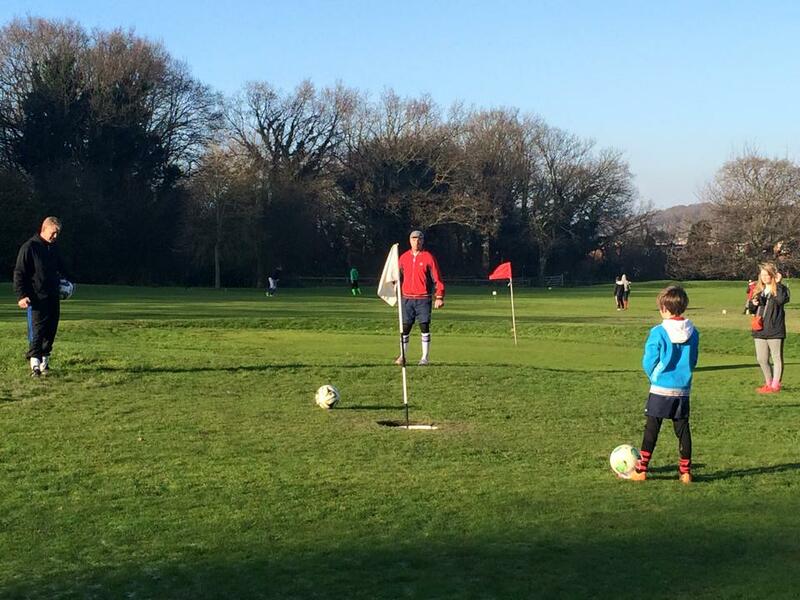 Hanger Hill Park Footgolf has car parking available.